Everyone eats, and what you eat matters — which is why we at FamilyFarmed are proud of our work growing the availability of Good Food: delicious; produced as locally as possible; using sustainable, humane and fair practices. FamilyFarmed works to support food and farm entrepreneurs with the goal of a healthier, more environmentally sustainable and more economically dynamic food system. In the coming weeks, we’ll share stories of the local food and farm entrepreneurs whose mission to produce Good Food has been served by FamilyFarmed — thanks to contributions from Good Foodies like you. We ask for your support so these programs thrive and we can continue to develop new and innovative Good Food initiatives in 2018. Click here to make a tax-deductible contribution to FamilyFarmed. 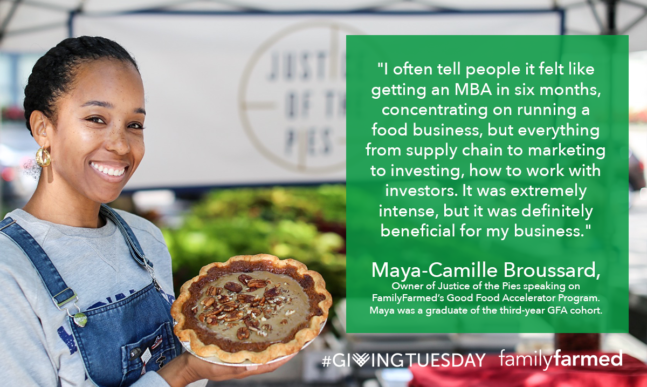 Your contribution will support Good Food Entrepreneurs such as Maya-Camille Broussard of Justice of the Pies — a 2017 graduate of FamilyFarmed’s Good Food Accelerator. She graduated in April in the third cohort of our Good Food Accelerator, and has nothing but praise for how the program has helped her build her business. “I often tell people it felt like getting an MBA in six months,” she said. To read more about Maya, Justice of the Pies and the Good Food Accelerator, please click here. Learn more about the following Good Food programming your contribution will support with new profiles over the next two weeks, culminating on Giving Tuesday on Nov. 28. We know that there are numerous worthy non-profits and charities asking for your donations. Please read the summary of our programs and achievements below to see why we think FamilyFarmed should be on your giving list. Farmer Training: There would be no Good Food without great, productive farmers. And growing young farmers is a critical national need, as the USDA reports the average age of farmers in the United States is nearly 60. FamilyFarmed has helped producers improve their skills with workshops that have trained more than 13,700 farmers in 43 states. Our farmer training program was built around our Wholesale Success manual, a farmer’s guide to food safety, selling, postharvest handling and packing produce. 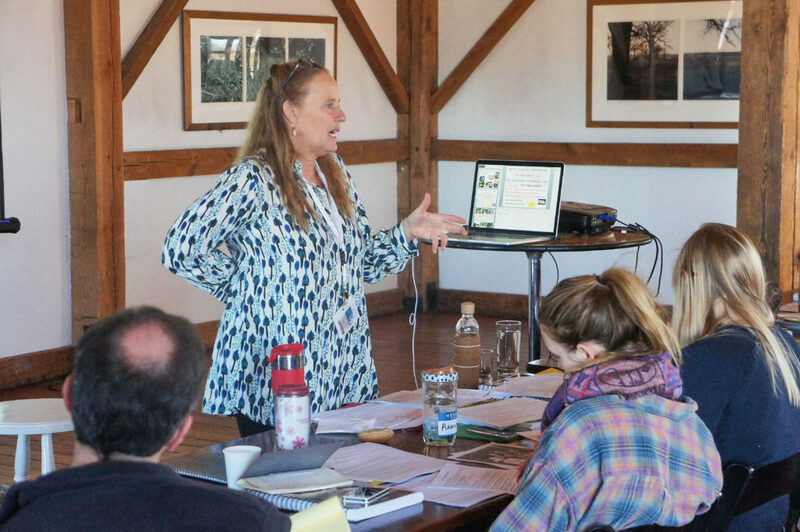 In 2017, FamilyFarmed expanded the program to include Direct Market Success, a farmer’s guide to selling at farmers markets, farmstands, through CSAs or online marketplaces and to restaurants, and a series of Food Safety Training workshops designed to give small to mid-scale produce growers the tools to comply with best practices in food safety and to introduce writing on-farm food safety plans. 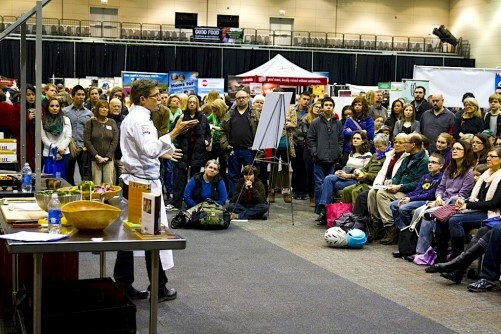 Good Food EXPO: YOU’RE INVITED!! 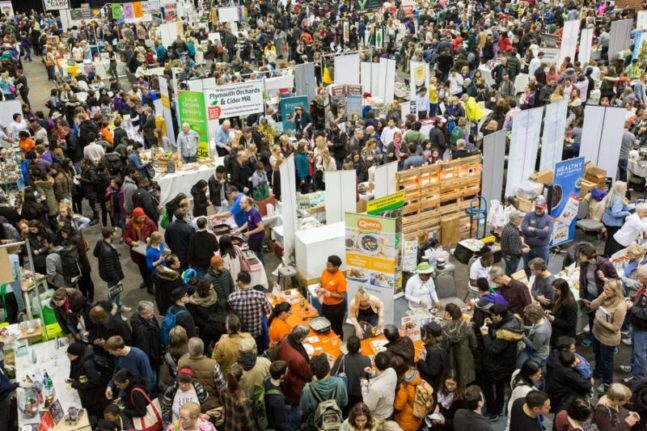 The 2018 Good Food EXPO will next be held March 23-24 at Chicago’s UIC Forum. 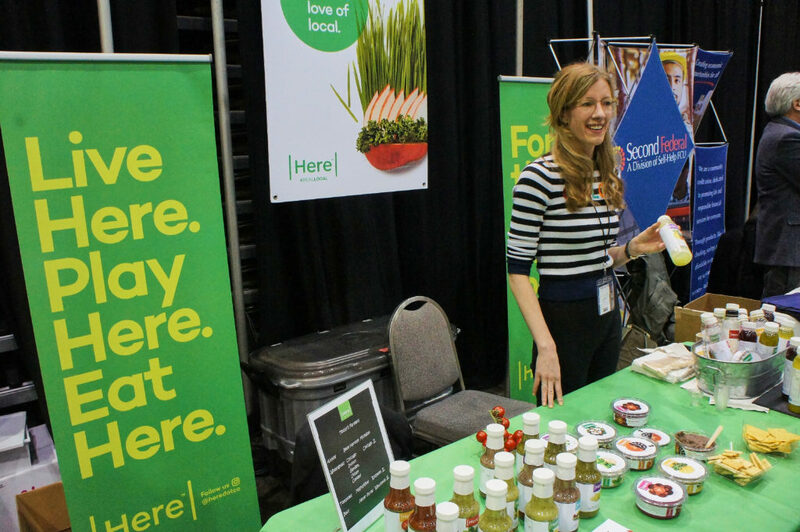 The 2017 EXPO set a record with 7,500 attendees and nearly 200 Good Food purveyors and farms. Past EXPOs have seen appearances by Chef Rick Bayless, former USDA Secretary Tom Vilsack and Erika Allen of Growing Power. To learn more about the EXPO, click here and here. To register as an exhibitor before Dec. 31 and receive a $150 discount, click here. 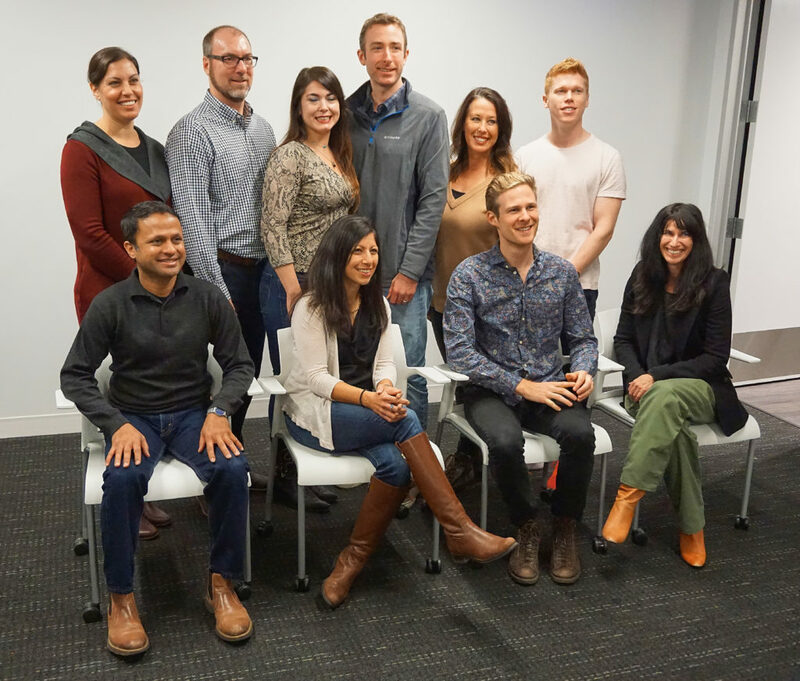 Good Food Accelerator: At its launch in 2014, this was the first business accelerator focused on local and sustainable food companies. We have just begun the intensive six-month program for our fourth cohort of Accelerator Fellows (click here to find out who these exciting businesses are). All 27 businesses competitively selected for the first three cohorts graduated, and all report that they benefited from their participation. Combined, the Financing & Innovation Conference (below) and the Good Food Accelerator have generated more than $38 million in equity and debt financing deals for participating businesses. Learn more about our Good Food Fellows here. Good Food Financing & Innovation Conference: This event is focused heavily on facilitating connections between early-stage food businesses and the buyers and investors who can help them grow. After a long stint as the opening day of a three-day Good Food EXPO, the Financing & Innovation Conference is going to be a stand-alone event on June 19 in Chicago! Highlights from the 2017 Financing & Innovation Conference can be found by clicking here. FamilyFarmed never stops innovating. Here are three important projects that are currently under development. 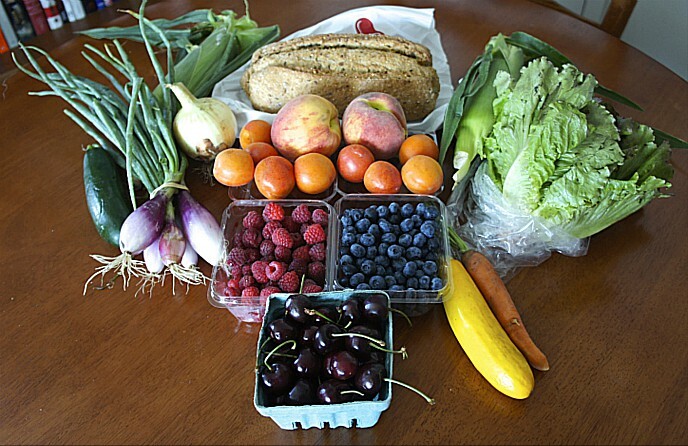 Good Food Is Good Medicine: Medical training in the United States typically focuses on treating symptoms of illness, and has been lacking in a crucial element — the impact of food on health. But there is rising interest in integrative medicine and other approaches that factor food into efforts to prevent illness. FamilyFarmed has produced several informative programs around this theme — including a standing-room-only panel discussion at last year’s Good Food EXPO — and is developing a Good Food Is Good Medicine program that will take this crucial message out into communities. Learn more about this concept by clicking here and here. Organic Grain Promotion Initiative: The demand for locally and sustainably produced grains for baking, cooking, brewing, distilling and other needs is rising fast. FamilyFarmed is developing a coalition of growers, buyers and sellers to help expand this market and to persuade more farmers to transition land to growing grain sustainably. Improved Communications Platforms: FamilyFarmed is conducting a comprehensive overhaul to modernize and integrate its online information and program platforms. The result will be websites that are much more appealing, more informative, and better at helping Good Food farmers and producers tell their stories and sell their products. All contributions, however large or small, help us advance our Good Food goals and support the businesses and farmers who produce the Good Food we all love! Click here to support FamilyFarmed’s Birthday Challenge, or click here to find out how your Giving Tuesday Contribution can have a direct impact on the Good Food ecosystem. This entry was posted in Direct Farm Marketing, Direct Market Success, FamilyFarmed fundraising, Farm businesses, Farmer training, Financing, Food Entrepreneurs, Good Food and economic development, Good Food Business Accelerator, Good Food business development, Good Food Festivals, Good Food Financing Fair, Good Food Is Good Medicine, Good Food marketing, Local Food, Wholesale Success and tagged Direct Market Success, FamilyFarmed, FamilyFarmed Farmer Training, Good Food Accelerator, Good Food Expo, Good Food Financing &Innovation Conference, Good Food Is Good Medicine, Justice of the Pies, On-Farm Food Safety, Wholesale Success. Bookmark the permalink.